(NEW YORK, NY) March 19, 2018 — FOX Sports will broadcast the BIG3 2018 Player Draft on April 12, 8-10 p.m. ET, following the league’s Player Combine on April 11. 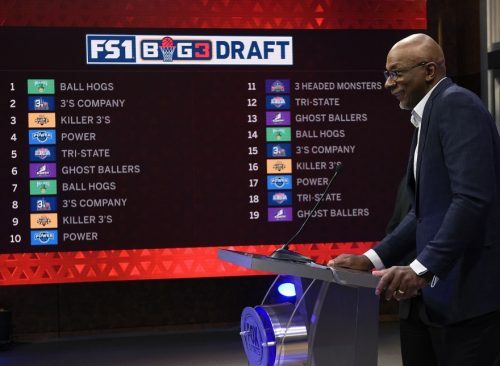 The draft will air live on FS1 and the FOX Sports GO and FOX Sports apps, incorporating footage from the previous day’s combine, where nearly 100 players will vie for 19 available roster spots. The combine takes place at Santa Monica College (Calif.) followed by the 2018 BIG3 Player Draft, also in Los Angeles.